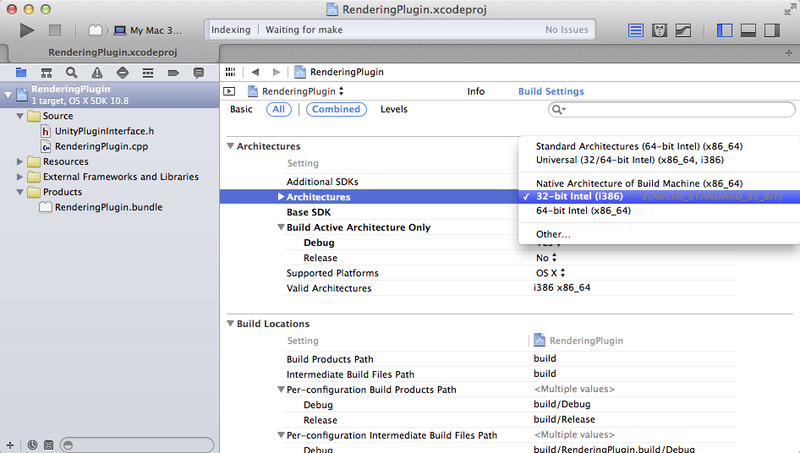 In this blog-post I’ll describe how to compile the RenderPluginExample for Unity 4 using XCode 5. 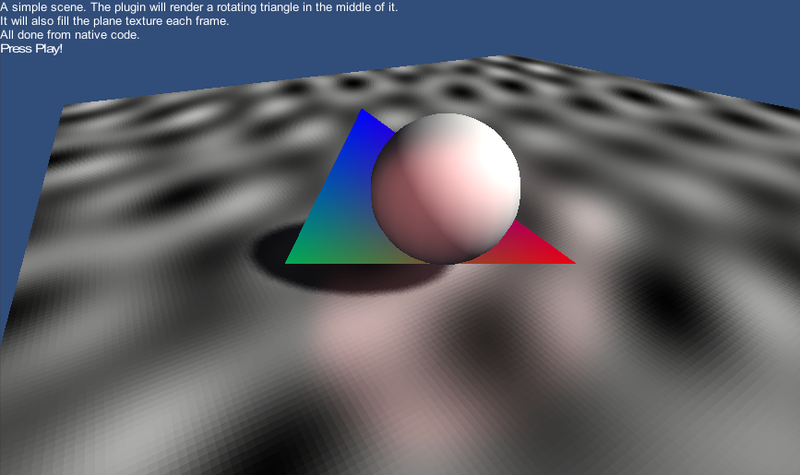 The RenderPluginExample is described in “Low-level Native Plugin Interface” document in the Unity Documentation [Link]. Step 1. Download and unpack the RenderingPluginExample42.zip [link] from the Unity website. Even through the Unity project will run when started, it will break when the bundle file (OSX dll) is rebuild. Step 2. 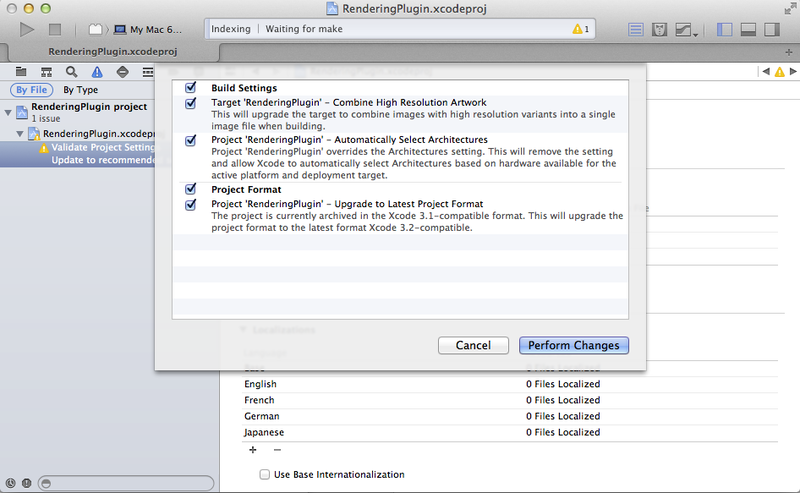 Open XCode project RenderingPlugin/Xcode3/RenderingPlugin.xcodeproj. Step 3. Click on the yellow warning triangle to launch the migration dialog. Click ‘Perform Changes’ to migrate the project to XCode 5.x. (If you are asked to perform a snapshot then click Disable – not needed in this case). Step 4. Open the project settings -> Build Settings and change the architectures to 32-bit Intel (i386) (Unity currently runs 32 bit. Universal or x86_64 build does not work). Step 6. Rebuild the plugin. Copy the RenderingPlugin.bundle file (right-click the file in XCode and select ‘Show In Finder’) to the ‘UnityProject/Assets/Plugins/’ – folder. Replace the existing file. Restart Unity (this is important – otherwise the old library file is still used). Step 7. Open the ‘scene’-scene and press Play to see the plugin in action.